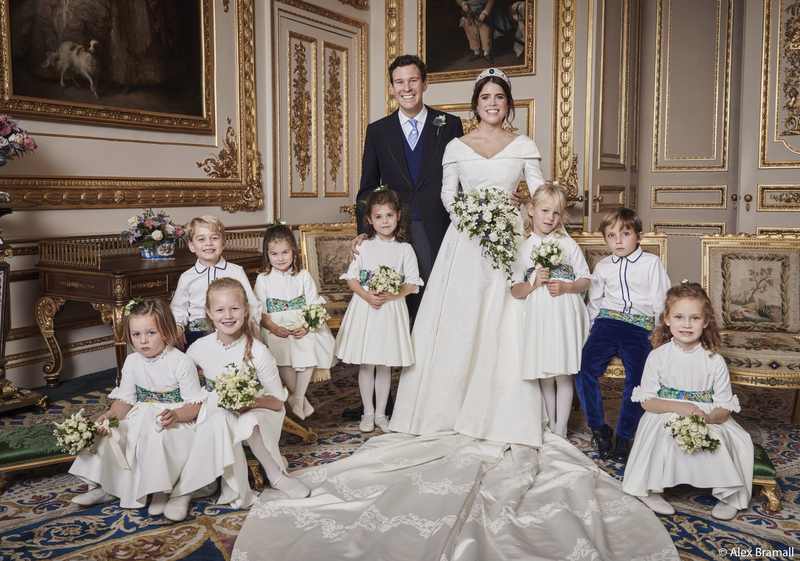 Her Royal Highness Princess Eugenie of York and Mr Jack Brooksbank have released four official photographs from their Wedding day. 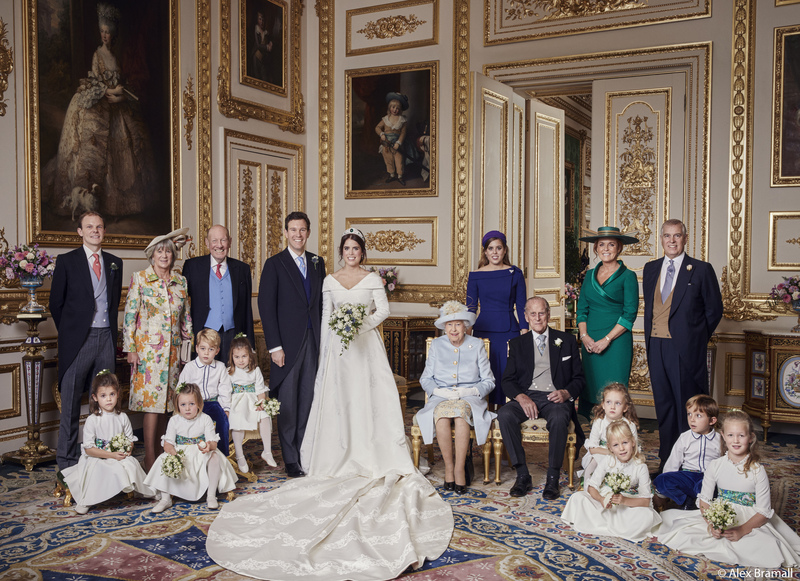 The images were taken by photographer Alex Bramall at Windsor Castle and later in the day at the private dinner at Royal Lodge. The couple are delighted to be able to share these images of their special day. 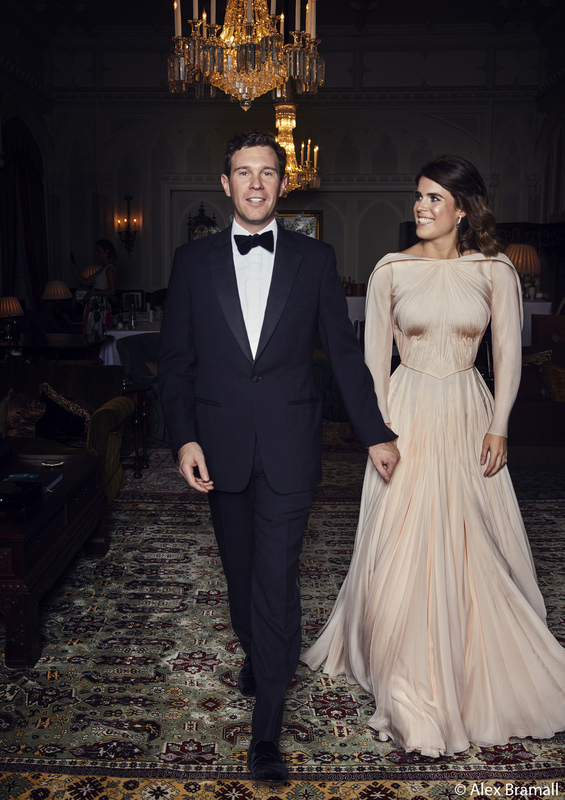 Princess Eugenie's evening dress was designed by Zac Posen. Mr Posen was inspired by the beauty of Windsor and the surrounding countryside. The choice of colour reflects the blush of an English rose. Mr Posen took his inspiration from the White Rose of York. The pin-tucked plissé is cut on the bias and mixed with signature drapes. The White Rose of York is subtlety embroidered on both the shoulder and back which hold together the cape. The silk for the gown comes from Biddle Sawyer Silk. 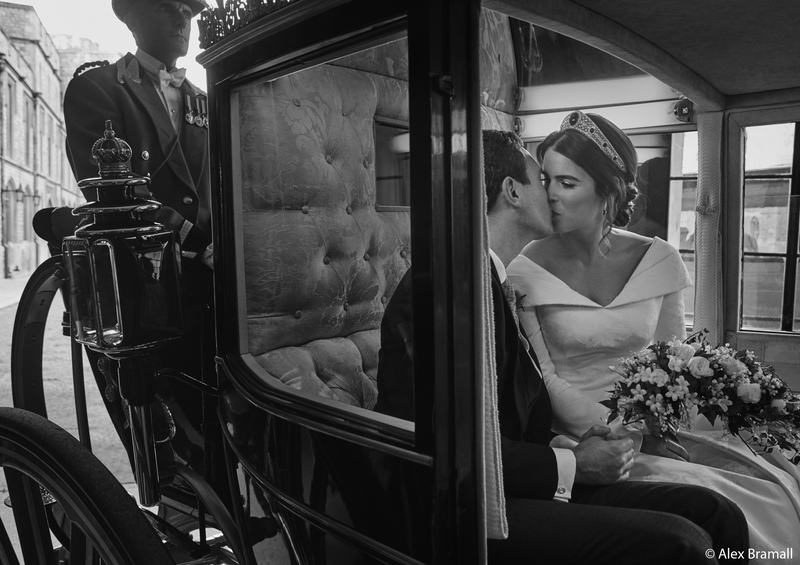 Princess Eugenie is wearing diamond and emerald drop earrings which were a Wedding gift from the Groom. Princess Eugenie also wore a hair slide belonging to Her Majesty The Queen. Queen Victoria’s Wheat-Ear Brooches were originally commissioned by William IV in 1830 for Queen Adelaide. They were passed down to Queen Victoria in 1837, and eventually to The Queen in 1952. Her Majesty has worn them as both hair slides and brooches.